The folks over at MMO Champion took some (a lot) of time out to dig through all the Warcraft universe related books, comics and many other pieces of literature to arrange them in a chronological order. But that's not all they did, as they assigned each piece to the game/expansion they relate to! 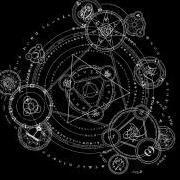 Presumably the works are arranged based on what game period they most refer to, as some of the books have a tendency of time-hopping with their plots and contents. 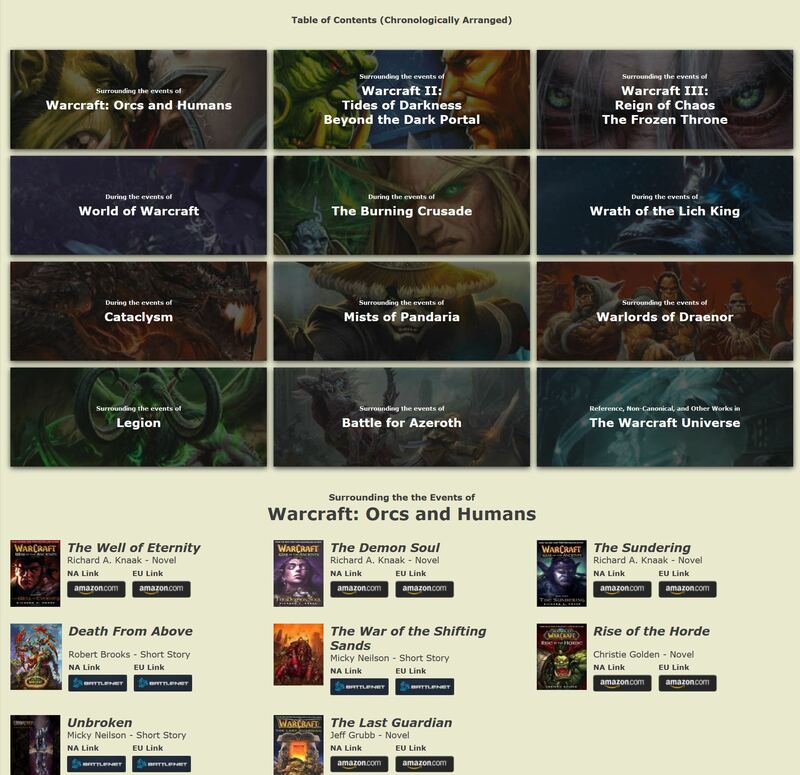 Each entry also has a link to where you can either read it for free or purchase it, so this is a pretty damn impressive list for anyone that's interested in the lore in general, or just wants to know more about a specific period in Warcraft's history. If WotLK is your favorite and the Arthas/scourge storyline the only one you're really interested in you can just check out that entry and all the related content that happened during that time (although there's almost certainly more hidden throughout other expansions, but you'll just have to dig for that yourself if it happened before or after). 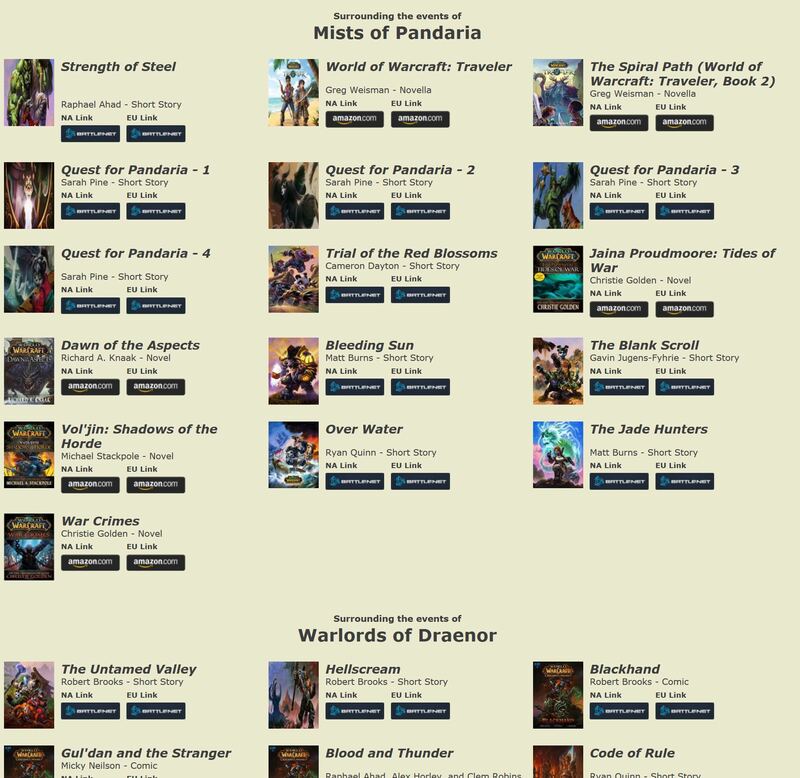 It seems Mists of Pandaria had the most going on in terms of products published during its events, and there's a whole lot of works that either don't fit on any one point in the timeline or are non-canonical (like the Warcraft movie related ones), and they're all summarized at the bottom of the list as well. Just a really impressive job at collecting and sorting all these, so huge thanks to MMO Champion and definitely make sure to head on over there and check it out! I would love to read all of those, but I could never justify paying that much money for it. I feel like after paying for wow for the past 14 years, we should get access to this stuff pro bono, at least the stories that line directly up with expansions. A vast majority of the novels are free to read and even for a proper bookworm it would take at least a month to go through all of them. The problem with books and comics is that the authors often receive payments in some kind of royalty form for every copy sold. This often has a long expiration date (way beyond the author's lifespan). So while Blizzard owns some of the rights, they should probably terminate dozens of these contracts with massive opt-out fees if they were to make the books free. Not worth it - especially since most of that material have been partially or wholly retconned already (or will be retconned). 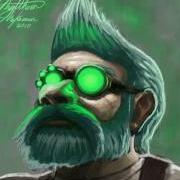 I've read a few of the early books (The Last Guardian, Day of the Dragon, Lord of the Clans, etc.) but half of the stories in there have been depicted in WoW in a totally diferrent way. Good reads, but they don't relate to the commonly accepted lore in the Warcraft universe. I would like to read all of them but unfortunately my english not enough fluent to read a fantasy books and in my country only just a few translated due had some issues between Blizz and the local publisher. What do you mean free to read? As In being able to borrow them from a library? In the MMOChamp compilation every link that redirects to the official site (the ones with the Battle.net logo) contain free-of-charge WoW literature that can be read online or downloaded as .pdf. Only the ones redirecting to Amazon require purchase. I cant think of one story ive read that lines up with an expansion. New characters and their accompanying story arcs being a main reason. But the author writes the books, they probably deserve some compensation for their time and effort dont you think? I dont think i should get into every wow-related blizzcon event free simply cuz Ive sub'd since BC. free....because books spontaneously come out of the blizzard fairy's *filtered*, right? Only one I've read is Day of the Dragon. It was ok. Not great. Don't think I'd ever even consider buying and reading all of them. I'll stick to the summary of events on wikis. Wish they'd keep more of the story in-game. Stealing pirated copies of someone's work isn't free, it's illegal. Don't get me wrong, my opinion is that if someone pays for a book/dvd/ect, they now own it and can do whatever they want with it, including sharing it on the internet. But the overwhelming majority of people aren't sharing legally, they are stealing. Don't be a piece of *filtered*. Hmm, let's see. After the giant waste of money that WoD was, and the undeniable flop of BFA, and the sub fees during these flop expansions, I'd say that credits me around $500 ($60 per expansion + 2 years of wod sub fees) with Blizzard. Now obviously that isn't money I'll ever get back, but myself and MILLIONS of other people feel the same way right now: that we were swindled. It's not unreasonable to expect something in return, especially something so trivial as the wow books. it's.. you could have stopped playing. the money isn't WASTED if you got your time out of it. which you either did by continuing to play, or you were subbing to not play which is... silly. If it was the base fee and you never played after buying it sure, but you're clearly still subbing. All valid points. I'm just saying, it would be nice to have access to them. This is just ridiculous I'm sorry. You can't say you got swindled when you got exactly what you paid for, except the quality wasn't up to your particular standards. There's no guarantee with games. You know who got swindled? People who paid for kickstarters that never happened. That's about it. Even those poor souls that paid for Fallout 76 didn't get swindled, they could have waited for reviews, asked players in the beta, followed news about the game and come to a conclusion. The words you're looking for is disappointed and or "bad call". And you're certainly not alone. That doesn't mean Blizzard owes you everything. The formula here is pretty simple, you paid for something you didn't end up liking and that lowered your trust for the company that makes it, making you less likely to buy their products in the future. It's like that literally everywhere, unless the product literally does not do what it is supposed to, and everything bad you can say about WoD and BfA, they're still functioning fully fledged MMOs with content that delivered what they promised to. Problem is they're lower quality (for some people, personally I actually liked WoD a lot, and think the garrison is one of the best featured added to WoW ever, but then whiny crybabies made Blizzard forget about it forever, basically killing any chance of player housing) than previous entries. I mean just look at your catalogue of games that you've bought, how many were disappointments? That's just the way it works, feeling entitled to free stuff isn't really a good attitude - although i 100% agree with you the IMPORTANT aspects of the story HAVE to be in the game, whether they're added from the books or written special for the game. WoD was great content wise imho, the main beef I have with it is that we got a relatively low amount of raids out of the 2 years it was the current expansion :) but at least they were great raids! Garrison wise, I got very, very rich at that time since it synergized perfectly with my playing habits, such as leveling characters when bored, wish it had been expanded / corrected upon rather than completely scrapped though..